Woohoo you’re here! Let’s start planning! Today’s task is going to be quick — we’re just getting warmed up. Grab a piece of paper, a notebook, a spreadsheet…whatever it is you like to take notes on. You’ll want to keep it handy over the next 5 days so that you can keep everything in one place. 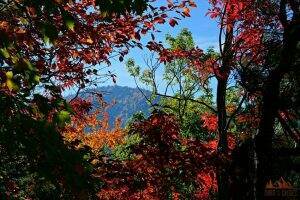 For today, all I want you to do is choose a time of year that you want to visit the Great Smoky Mountains. Each season in this park is unique and can give you a completely different experience depending on when you go. Let’s talk through the pros and cons so that you can make an informed decision on the best time of year for you! Special note: You may already have a pretty good idea of when you will be able to go. For example, traveling during the summer might be the only time of year you can take your family. I totally understand, but keep reading. Let’s make sure you know what to expect while you’re there. A visit to the Great Smokies during the winter can be absolutely enchanting and well worth battling the possibility of a little snow! So, what’s so great about the Great Smoky Mountains in winter? You won’t have to fight the crowds to see the most popular spots. 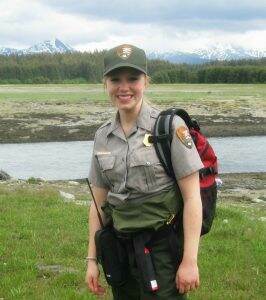 You’ll also enjoy more peace and solitude than can usually be found in America’s most visited national park! The possibility of snow scares away many travelers, so winter is a fantastic time of year to visit the park if you don’t want to fight through the crowds! Winter temperatures in the Great Smokies are relatively mild, with highs often hovering around 50 degrees. Most facilities within the park are still open, with the exception of a few campgrounds, historic grist mills, and Clingmans Dome. The Newfound Gap Road is open year round, weather permitting. 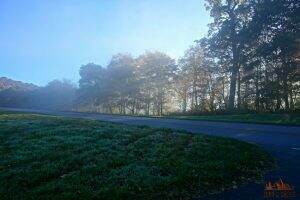 Cades Cove can also be accessed year round. Smaller secondary roads such as the Clingmans Dome Road and the Roaring Fork Nature Trail close down for the season at the end of November. January and February are the snowiest months in the Smokies. It’s not uncommon to find 1-2 feet of snow in the higher elevations during this time. Just like the bears emerging from hibernation, spring in the Great Smoky Mountains marks the start of a new year full of beauty and excitement. In my opinion, springtime in the Great Smokies is truly fabulous. A few highlights you can expect during a spring visit include roaring waterfalls, cute baby animals, and gorgeous wildflowers! Crowding within the park is moderate, but definitely manageable during this time of the year (with the exception of Memorial Day weekend). If you visit during the month of March, you’ll still want to expect some seasonal closures in place. For this reason, I recommend waiting until April or May if you want to have access to all of the most popular spots in the park. Spring weather in the Great Smokies is completely unpredictable. Be prepared for every kind of weather — rain, snow, sun, wind, cold, warm etc. You’ll definitely want to pack a rain jacket for the common afternoon storms! Expect to see wildflowers galore!! 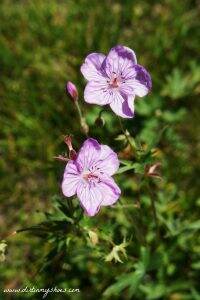 Click here to learn more about some great hiking trails that highlight the spring wildflowers in the park. The great thing about the Great Smokies during the summer is that everything is open! You’ll have numerous lodging and dining options, plus access to all of the main points of interest, tours, programs, and visitor centers. Your options are endless during the summer, but that comes with a price….crowds. Be prepared to share the amazing sights of the Smokies with people from all over the world during the popular summer season. As mentioned above, the crowd level during the summer is high. This will impact your trip in some way, as you will likely not be able to get places as quickly as you’d like or enjoy the sights without distraction. July and August are the busiest months of the summer, so if you must take a trip at this time I suggest aiming for June! 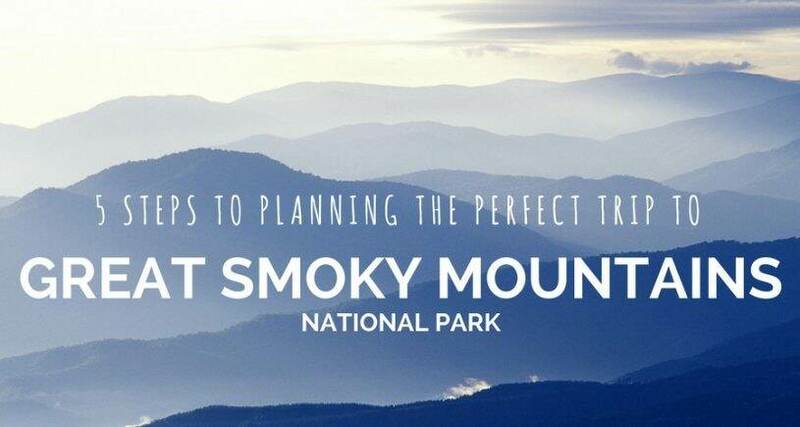 To better avoid the crowds and traffic jams common to the Great Smoky Mountains during the summer, you’ll definitely want to have a solid plan, like this detailed itinerary! Having a plan will minimize wasted time and make your trip much more enjoyable. Summer weather here is hot and humid, with daytime highs creeping up into the 90’s. Expect muggy hiking conditions during this time of the year. The area is buzzing during the summer, with numerous activities and festivals to take part in! 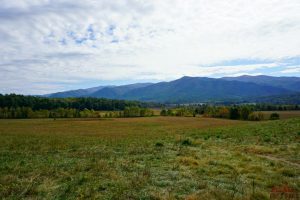 Autumn in the Great Smoky Mountains is fabulous, but don’t expect the summer crowds to die down during this time of the year. This is mostly due to the phenomenal fall colors that blanket the mountains! A few highlights of a trip during this season include world-class fall colors, bugling elk, and fantastic wildlife watching. The end of September and the whole month of October is an incredibly busy time to visit the Smokies, but is also the best time to visit to see the fall colors. Lodging, campgrounds, and activities in the park and in the surrounding communities are generally still up and running for the leaf-peepers that flock to the area. Autumn weather can be unpredictable, but often sees less precipitation than other times of the year. For more information on viewing the fall colors within the park, click here. Well there you have it! I know….it’s a lot of information about the seasons of the Great Smokies. But now you’re ready to make a decision. Let’s complete Step One. Decide today what season is going to be best for your trip to Great Smoky Mountains National Park and write it down! You’ll want to have the decision made before moving on to Step Two tomorrow. Talk to you then!